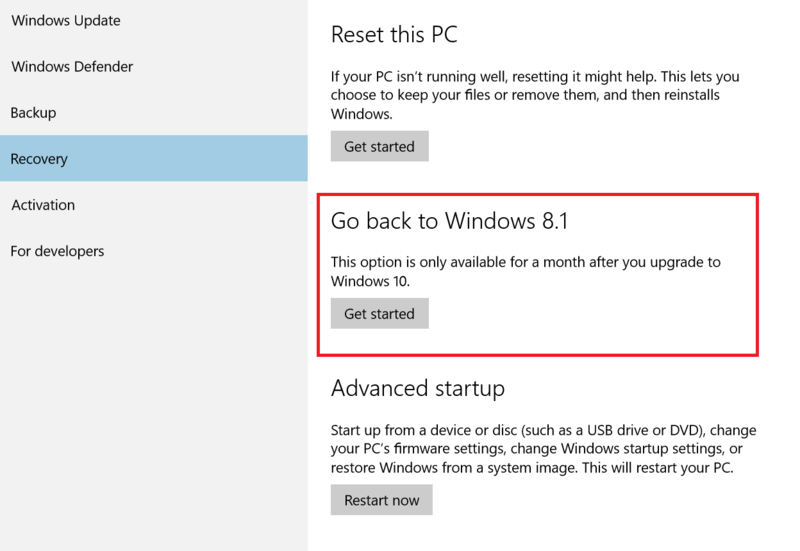 You have 30 days to rollback after your upgrade to Windows 10. For those who consider downgrading, DO NOT delete Windows.old folder! Please BACKUP your data whichever type of downgrade you will choose. I deleted Windows.old backup folder – there is no easy coming back. You need to completely reinstall your PC. But beware, you may have problems with OEM license, maybe you will be force to buy a new Windows. My previous version was Windows 8.1, asi you can see, but if you had Windows 7, you will see Go back to Windows 7. I don’t want to upgrade to Windows 10 at all -There are several ways how to do it, I’ll mention just 3. Navigate to Control Panel -> System and Security -> Windows Update. 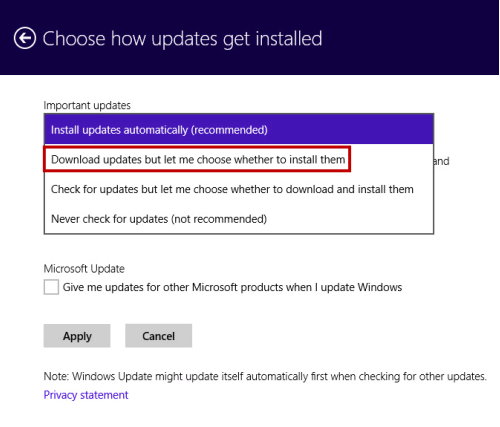 Click on Installed Updates and find KB3035583 and select Uninstall. Just in case try to find Windows Update folder C:\Windows\System32\GWX (or System64) and delete it. Alternative for steps above is Command Prompt command WUSA /UNINSTALL /KB:3035583 and delete GWX folder. There is a tool I don’t want Windows 10 , which will do it for you. After all if you decided to upgrade, go to Settings > Change PC Settings > Update and recovery > Windows Update and select Download updates but let me choose whether to install them or other options that suits you best. Vlastním Windows7, pro starší lidi je Windows dost složitý. Nesouhlasím,pro starší lidi W10 nevyhovující!